The whole Basin “Bridge” (flyover) Board of Inquiry process has been rendered dangerously close to farce by the nine-month timetable imposed on the Board process by the Government. However, the latest move by the Kerry Prendergast-chaired Environmental Protection Authority, which administers the Board, has plumbed new depths in its apparent contempt for submitters on the project. At 5.35pm on Friday 17 January, the EPA sent submitters the Draft Hearing Schedule, a complex document that requires careful consideration – even making it legible is a challenge. Each submitter needs to check the time(s) that they are meant to appear and respond to the EPA if any changes are needed. And how long have submitters been given to respond? One working day. The EPA has imposed a deadline of 5pm on Tuesday 21 January, and Monday 20 January is a public holiday in Wellington – so it’s Tuesday or bust, especially if you’re away from Wellington for the weekend. Is this fair or reasonable? Absolutely not. Whether this is a deliberate attempt by the EPA to make it impossible for submitters to appear before the Board, or whether it is merely the product of incompetence, we will leave for the reader to decide. But such absurd and unrealistic deadlines raise serious questions about any notion of this Board of Inquiry conducting a fair, unbiased and objective hearing process. Please contact your local MP and let them know how unfairly this EPA process is treating submitters. Some submitters have contacted the Campaign, concerned that they have to finish the oral submission they plan to make to the Board (also known as their representation) by this Friday, 13 December. This is not the case.Friday 13 December is the deadline for expert evidence, and so it is only relevant to those submitters who are putting forward expert witnesses. 1) Notify the Board if you plan to cross-examine any witnesses. You also need to send this notification to the party (e.g. NZTA) who is calling each witness. You must make these notifications by noon on Monday 16 December. 2) Notify the Board if you plan to make an oral submission (representation). You must do this even if you have previously told them (e.g. at the time of making your original submission) that you want to make a representation/oral submission. Note that the hearing start date has now been postponed until Monday 3 February. The Board of Inquiry convened to run the hearing process on the proposed Basin Reserve flyover held a Pre-Hearing Conference on Wednesday 25 September. The pre-hearing conference was held in the unlikely surroundings of the Mercure Hotel at the top end of the Terrace – a venue which is up a hill, unsheltered, and has no public transport access and little parking. We hope the hearing itself will be held somewhere that has good public transport access, is central, and is on the flat. The Pre-Hearing Conference heard submissions on a number of procedural issues. Many submitters to the Pre-Hearing Conference, including Save the Basin, argued that the proposed hearing start date of Monday 13 January was unrealistic and unfair, and argued for a start date of Monday 3 February or later. The new deadline for lodging “submitters evidence” with the Board is Friday 13 December. NZTA have been given a deadline of 10 January to lodge their rebuttal evidence. The end date for the Board of Inquiry process has been pushed out to 30 May 2014 (as allowed for by a recent change to legislation). Even with these changes, the timetable for these hearing processes is very tight. Several previous Boards of Inquiry have had to be extended beyond the intended nine-month period. Your submission should be acknowledged! If you haven’t had a satsifactory response to your followup enquiry after a couple of working days, please contact stoptheflyover@gmail.com with “Submission Not Acknowledged” in the subject line, and we’ll follow this up for you. This is it, folks: submissions on the proposed Basin Reserve flyover (“Basin Bridge”) close today at 5pm. Don’t leave it until the very last minute to submit. Remember that it times out after an hour. Submit well before the deadline of 5pm. Good luck, and many thanks to all those who have already submitted! Note: For formal purposes , the flyover proposal is called the “Basin Bridge Proposal”. This guide has been developed by the Save the Basin campaign to assist people in making a written submission to the Board of Inquiry that has been established by the Environmental Protection Authority (EPA) to hear the NZTA’s resource consent application for a ‘Basin Bridge’. The Guide is divided into Part One – the process of making a submission – and Part Two, which gives you some pointers on what you might want to cover in your submission. 1) You don’t need to be 18 or over to submit – there is no minimum age limit. So school-age children can submit – and they should, especially if they live or study in the vicinity of the proposed flyover. 2) You don’t have to be living in New Zealand to submit. 3) The EPA has released its draft schedule for the Board of Inquiry process – and it shows the hearings starting on Monday 13 January, when many people are still on holiday. If you feel this is unfairly early, tell the EPA so in your submission, and urge them to start the hearings later. The draft schedule is on p24 of this EPA Inquiry Procedures document. 4) In the online submission form, when you ask to appear, you are given the option of going in with other submitters making similar points. We suggest that you ask to appear separately. The deadline for submissions is 5pm on Friday 6 September 2013. Submissions can be made online, by email, by fax, by post or by delivering in person. Details of these options are contained in the Information Sheet. – say whether you are a trade competitor of the applicant (NZTA) – presumably you aren’t! If your submission does not meet these requirements, it should not be rejected. The EPA should contact you to clarify these points. However, best to get it right first time. Your submission doesn’t have to be complicated. It can simply state how you will be affected by the proposed flyover, and what your personal reasons are for opposing it. Ask to speak at the hearing, and say that you want to present your submission as an individual. (It’s OK if you find out later you can’t appear and it’s also possible for you to arrange someone else to appear on your behalf). If you do ask to appear in person, you can prepare additional evidence – but it can only expand on the areas you discussed in your original submission, not cover new areas. We have been told that people who don’t initially say they want to speak at the hearing can subsequently change their mind and ask to appear, up to the start of the Board hearing. Our advice is: don’t rely on this: say in your initial submission that you want to appear. Why are we asking submitters to say they want to appear in front of a Board of Inquiry? A Board of Inquiry with only a few submitters appearing will be a fast Board of Inquiry. We believe the Board of Inquiry should consider the proposed Basin flyover at the length and with the seriousness it deserves. Appearing in front of the Board gives you more time to prepare your detailed evidence – to elaborate on the topics you made in your original submission. If you don’t raise a topic in your initial submission, then you can’t address it later in written and/or oral evidence you present to the Board. This Board of Inquiry is, when it comes right down to it, a political rather than a legal process. It’s your chance to be part of a broad community movement that tells the politicians that opposition to the proposed flyover is widespread, dedicated and determined. How scary is it to appear before a Board of Inquiry? Not very scary! You’re not on trial – NZTA’s proposal is. The Board is a lot less formal than a court room. You don’t have to do it alone. You can bring a support person. Save the Basin will endeavour to have someone at the hearing at all times. If you find later that you aren’t available or can’t face the Board you can always pull out, or get someone else to appear on your behalf (see below). At the time of writing, there remains a risk that the Board will decide to hold the hearing over December and January, when large numbers of people would be unavailable to appear. In your submission, please ask the Board not to start meeting until the final week of January at the earliest, and point out the unfairness of a hearing that starts in December or early January. You can ask to appear in your initial submission, and then subsequently arrange for someone else to present evidence on your behalf. As long as you make sure that that person is familiar with your evidence, there’s no disadvantage in doing this. Set out below are some key headings and bullet points that may give you some ideas on what to say in your own words why you are against the flyover. Please note that we do not want lots of identically-worded submissions – these points are meant only as a guide. But you should make sure to include each topic area that concerns you in your submission, so that you can return to it in later evidence to the Board if you wish. If you live, work or travel through the area (or if your children attend a local school) – talk about how the proposal affects you, your family and your neighbourhood. The Basin Reserve is regarded as one of the great cricket grounds of the world and the proposed flyover denigrates the history and heritage of the venue. The proposed flyover would dominate and spoil the northern skyline of the iconic Basin Reserve. The proposed mitigation feature – a new pavilion – is just a glorified wall with no seating for general spectators. It may shield players from a direct view of the flyover, but it will not shield spectators. The net effect of this proposal will be to make the Basin worse for cricketers, spectators and the general public. The proposed flyover will be an unsightly monstrosity that will be visible from a distance and from many places around the Basin. It’s a very ugly concrete structure and will ruin an iconic streetscape. It’s inappropriate and disrespectful to propose to have such an unsightly concrete structure next to the new War Memorial Park. The tranquillity of the new Memorial Park would be ruined by the roar of a large flyover next to it. What we need is a 21st Century Capital that is people-centred, people-friendly and not car-centred. The proposed flyover would be a major backwards step. The proposed flyover divides the city, creating a concrete barrier from north to south. Many visitors and tourists to NZ want to see an attractive city, not a sprawling concrete wilderness. The Basin Reserve is a registered historic site and a recreation ground to be preserved for ever for the people of Wellington, that will be ruined forever; the green space on Kent and Cambridge Terrace is part of the Town Belt and legally no thoroughfare is allowed to be made across it. The proposed flyover will be noisy and will spread pollution due to its height above the street. The NZTA’s own resource application shows the proposed flyover could present a real danger to pedestrians, cyclists and some vehicles in high winds – with no means of escape if they’re caught on the central section of the flyover. We are concerned about the safety of the proposed flyover to cyclists, pedestrians and vehicles in the event of a major earthquake event. Especially concerned about the public health impacts of a raised road that will spread particulates that are known to cause serious health conditions. Concerned about the effects on the 4000 school children and their teachers who study and work at schools in the area. Many would either pass through the area twice daily or spend many hours a day close to the flyover. The proposed flyover will generate a lot of noise from a steeply inclined road (particularly trucks travelling up and down the road) – along with vibration, dust and pollution. Construction of the proposed flyover will generate high levels of noise, dust and vibration. The proposed flyover won’t solve issues around peak-hour traffic congestion; it’ll merely move the issue further along the road. Vehicle traffic has been declining in recent years, so a flyover is not needed. Traffic flow could be improved and a lot of money saved by small changes to lane layout, priority lanes and traffic light phasing. 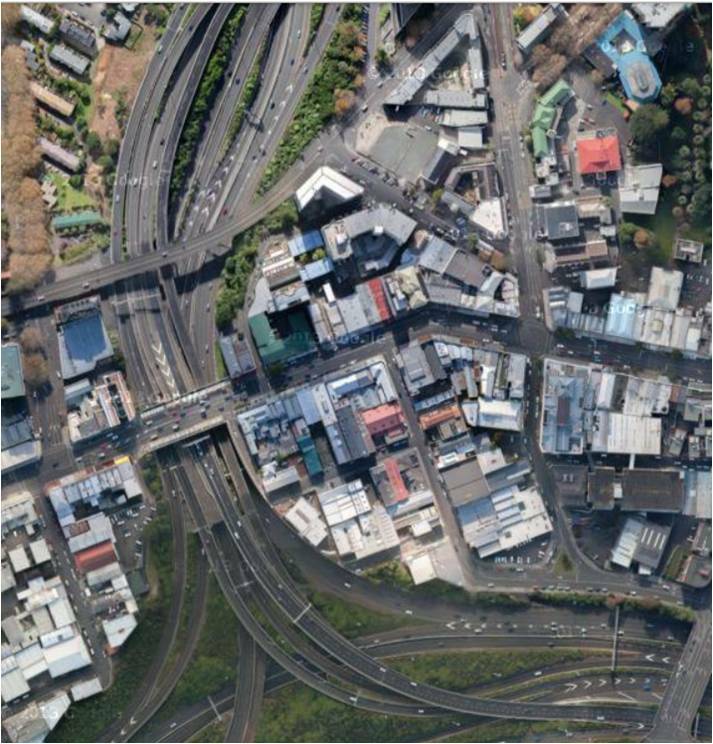 The proposed flyover goes against the development of public transport and sustainable transport issues for Wellington. In progressive cities elsewhere, flyovers are being demolished not built. Why is Wellington being stuck with a 1960s approach to traffic management? You can find information about this and the Friend of the Submitter sessions on the EPA website. In recent posts we have highlighted the importance of campaign supporters making their own voices heard in the upcoming Board of Inquiry. The Save the Basin Campaign will be making a submission, but it is also important that campaign supporters make their own submissions to express their opposition to the Flyover. Answer your questions about the Board of Inquiry (BOI) process – timelines; role of the BOI; role of the Environmental Protection Agency (EPA); appearing at the hearing and what you can expect to happen. The Friend of Submitter (Mark St Clair) will attend the workshop to provide advice. Some of you might have been planning to attend one or some of the other “drop in” sessions already arranged by the Friend of Submitter – and you might still choose to do that. Our workshop will provide you with a similar opportunity to receive advice direct from the Friend of Submitter, but it will also go well beyond what the Friend of Submitter can do as it will also provide an opportunity to discuss and receive advice on what you actually put in your submission in opposition to the Flyover. That is something the Friend of Submitter is not able to do**. We hope to see as many of you as possible at the Workshop. If you cannot make the Workshop but still need advice or help with your submission, please contact us at stoptheflyover@gmail.com and we will provide as much help as we are able to. ** The Friend of Submitter is appointed by the EPA but is otherwise independent of the EPA. The EPA explains the role of the Friend of Submitter as follows: The Friend of Submitter is able to help with information on the board of inquiry process, making a submission, how to capture your views in your submission, and what steps you will need to take after your submission is lodged. The Friend of Submitter cannot advise you on whether to make a submission or what to include in it. The closing date for submissions on the proposed Basin flyover is 5pm on Friday 6 September. We’ve explained how to make a submission, and stressed the crucial importance of saying that you want to appear in person before the Board. Save the Basin Flyover Presentation (August 2013) (PDF, 1.5 MB). It’s based on the presentation given at our very successful public meeting on Saturday 3 August, and it’s full of very good reasons why a Basin Reserve flyover should not proceed. We’re aiming to have a full Submission Guide on the site and distributed to our supporters by this time next week. But don’t feel you need to wait for that before you get cracking on your submission! You can make submissions online, by email, by fax, by post or by delivering in person. Details of these options are contained in the Information Sheet. You can make an online submission, but we recommend that that you email your submission (if it’s less than 10MB) to basinbridge@epa.govt.nz. You are also required to cc it to NZTA: greg.lee@nzta.govt.nz. Please also cc it to Save the Basin: stoptheflyover@gmail.com. Ask to speak at the hearing, and say that you want to present your case individually, not jointly. (If you later find out you can’t appear, there won’t be any repercussions for you.) If you do ask to appear in person, you can prepare additional evidence – but it can only expand on the areas you discussed in your original submission, not cover new areas. And only people who have submitted by 5pm on Friday 6 September 2013 get the chance to appear and present additional evidence. Remember – we have had to listen to NZTA’s spin and lies for far too long. This hearing is the time when they have to sit there and listen to us. Let’s make the most of it. In a front-page story today the Dominion Post raised serious questions about the safety of the proposed Basin Reserve flyover in strong wind conditions. Journalist Tessa Johnstone drew attention to the statement in NZTA’s own resource consent application documents that wind gusts in the middle of the one-way flyover could be “extremely high” and NZTA’s admission that pedestrians, cyclists, motorcyclists, and the drivers of high-sided vehicles (e.g. vans and light trucks) could all be affected – with the risks, according to NZTA, running up to ‘complete overturning’ of high-sided vehicles. NZTA says that it will put up guard rails on either side of the proposed cycleway/walkway. But when it comes to drivers and motorcyclists, NZTA’s proposed mitigation for this problem amounts to putting up warning signs on a route from which they have no escape! NZTA tried to downplay this story. They failed, and now one of the many deficiencies of this flyover proposal is out there in the public eye. In Save the Basin’s eyes, the whole flyover project is an admission of the Government and NZTA’s failure to deliver a modern, sustainable transport solution for Wellington. More of the proposal’s many failures will come to light over the next few months. Even the National Party doesn’t want to live next to a flyover, as you’ll see if you read down to the fourth paragraph from the bottom of this Dominion Post article (see fourth para from bottom). The EPA has set an “indicative date” of Saturday for submissions to open on the proposed Basin Reserve flyover. As soon as the EPA is able to be a little more definite, we will bring you news of how to make submissions and suggest some key points for you to make.